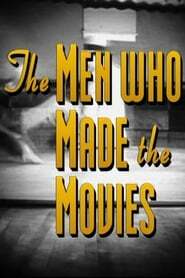 overview : In 1972 and '73, film critic Richard Schickel made an 8-part series for American public television: 'The Men Who Made the Movies'. Each episode featured a prominent Hollywood director discussing his career in an on-camera monologue (actually an interview, with Schickel's questions edited out), interspersed with generous clips from his most famous films, accompanied by somewhat overwrought narration (written by Schickel and spoken by Cliff Robertson). It's regrettable that Schickel did not include Fritz Lang, William Wyler and John Ford in this series: all three were alive at the time, although Ford was quite ill.